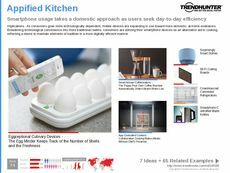 Find Better Ideas, Faster ® with a custom cooking kit trend report, our PRO Dashboard and 80+ categories of premium trend reports. 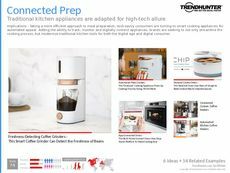 The Cooking Kit Trend Report gathers the most innovative kitchen appliances that merge good design with technology and flavor-enhancing innovations. 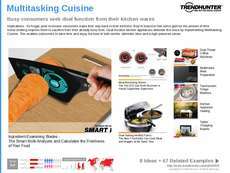 We examine knives, utensils, pots and pans that come in starter, amateur or professional cooking kits. 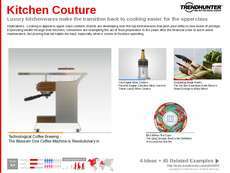 We also explore app-connected kitchenware that gives the chef instructions and suggestions. Finally, we look at cooking kits for children that gets them started into food experimentation. 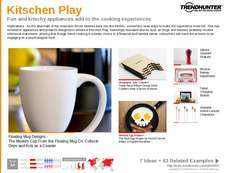 This report is great for kitchenware and home decor retailers selling emerging products for the home kitchen. 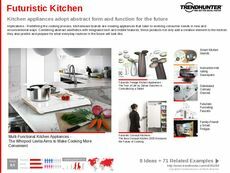 Kitchen appliance developers that are looking to integrate technology with cooking. 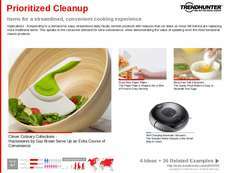 Finally, restaurant kitchen managers and chefs will also be interested in the products included in this report. 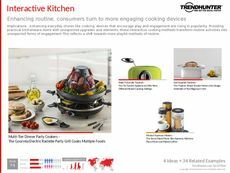 The Cooking Kit Trend Report is a food-focused collection of data that describes the interactive cuisine appliances that are sparking consumer interest in cooking as a form of entertainment.